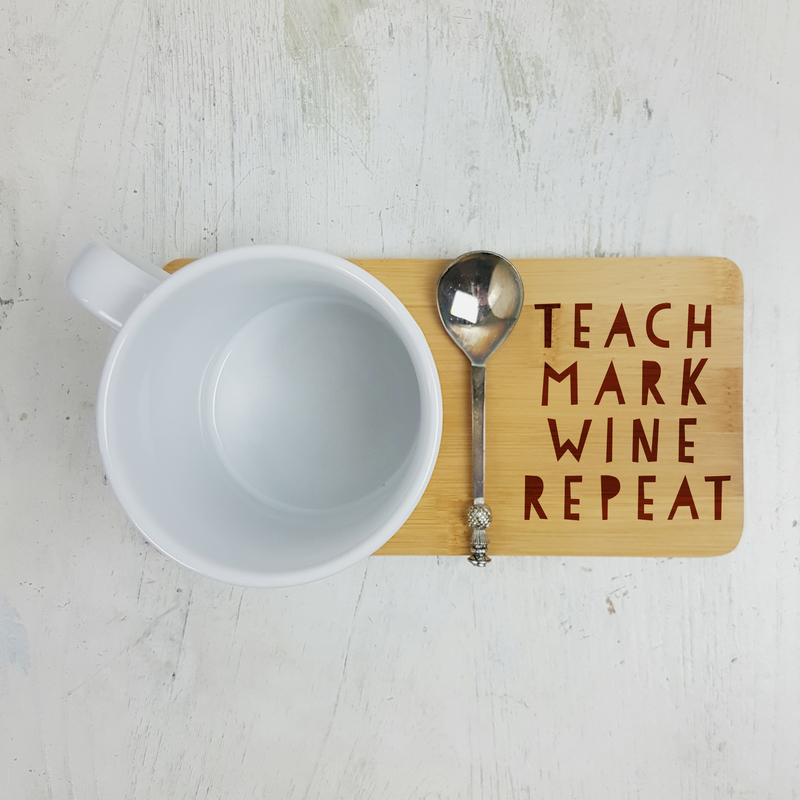 Teach, Mark, Wine and REPEAT! This is made even more special by having your teacher's name engraved across the left of the coaster. Bamboo is a highly attractive and versatile material. The grain and the shade look fantastic and provide a beautiful natural look. 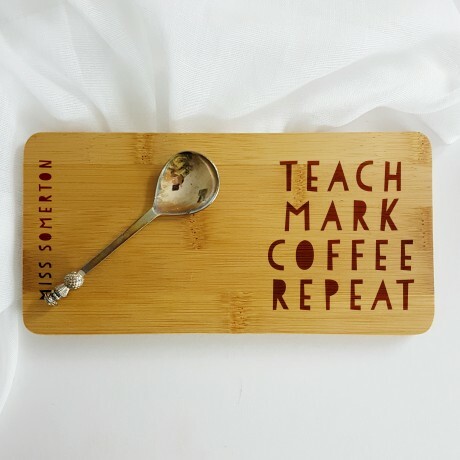 The engraving allows the grain of the bamboo to shine through.Our bamboo boards are all treated to be food-safe and they wipe clean with a damp cloth.